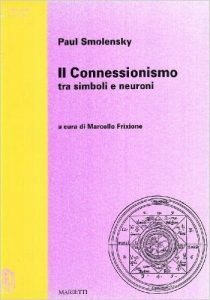 The Italian player who wants to know an authoritative perspective on the possible relationships between cognitive science and connectionism now has the excellent opportunity to do so with this volume. It is actually an Italian translation of a long article, published in 1988 in the authoritative of cognitive science journal “Behavioral and Brain Sciences”. According to the custom of the magazine, the article is followed by several speeches of researchers trained in different directions and different skills, with the author’s final reply. In this essay Smolensky also offers a first response to ‘ now famous critique of connectionism move by the staunchest supporters of functionalism and symbolic level, Jerry Fodor and Zenon Pylyshyn. They argued that connectionist models are inadequate models of cognition, because they can not reproduce some central features, easily captured instead by symbolic models, such as the ability of the mind to grasp the structural relationships between symbols, for example, the all-share (in Therein lies the so-called “compositionality” of the mind). According to Smolensky, the criticism of Fodor and Pylyshyn just apply to some versions of connectionism. This criticism has nevertheless raised a number of objections and counter-objections (even in subsequent interventions of the same Smolensky) that have invaded and continue to invade the magazines: the problem seems still far from being clarified satisfactorily. As yet not clarified, warns Frixione, is generally that of relations between symbolic models and connectionist models of cognition.